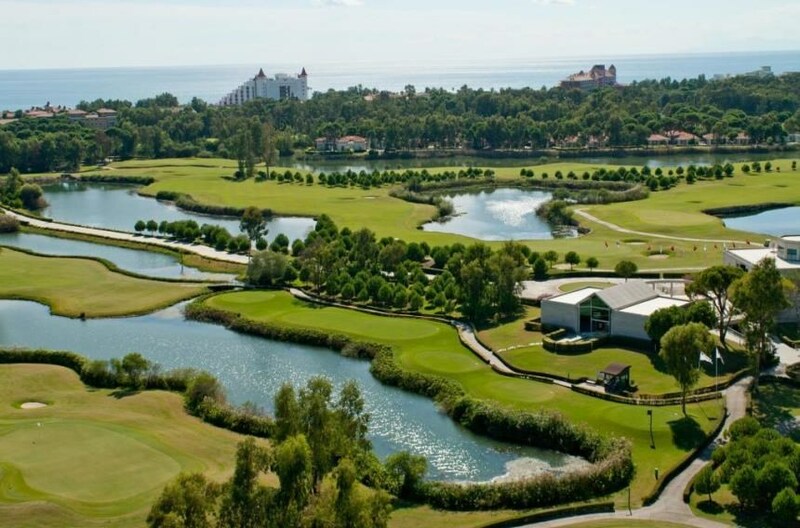 On a sprawling estate overlooking the Mediterranean Sea, this chic all-inclusive resort is an 11-minute walk from the Antalya Golf Club. 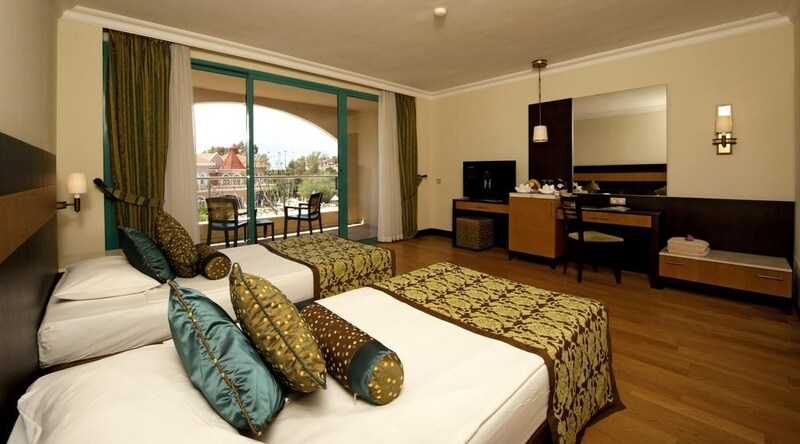 Located on the coast of Belek, this 5-star holiday resort offers rooms with a private balcony. 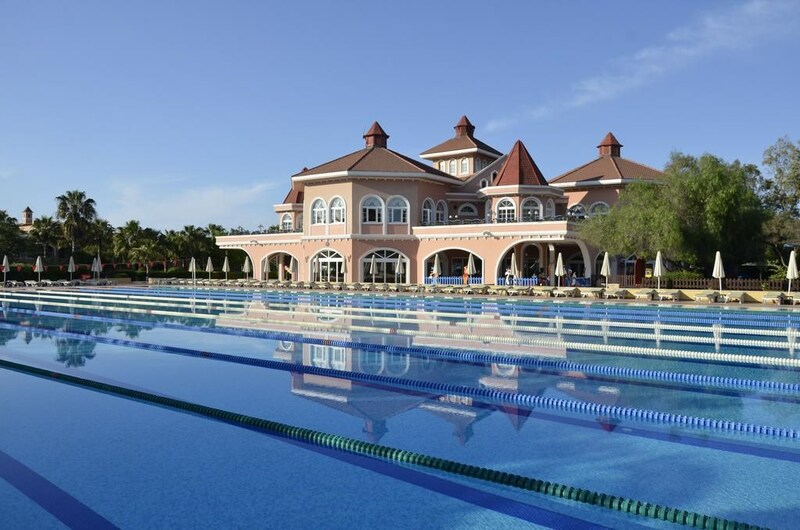 Facilities include several outdoor pools, a spa with an indoor pool, and tennis courts. 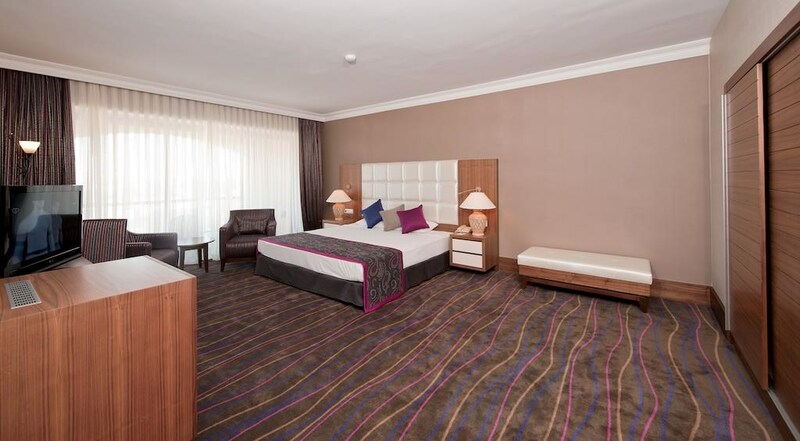 The air-conditioned rooms at Sirene Belek Hotel feature a modern interior. 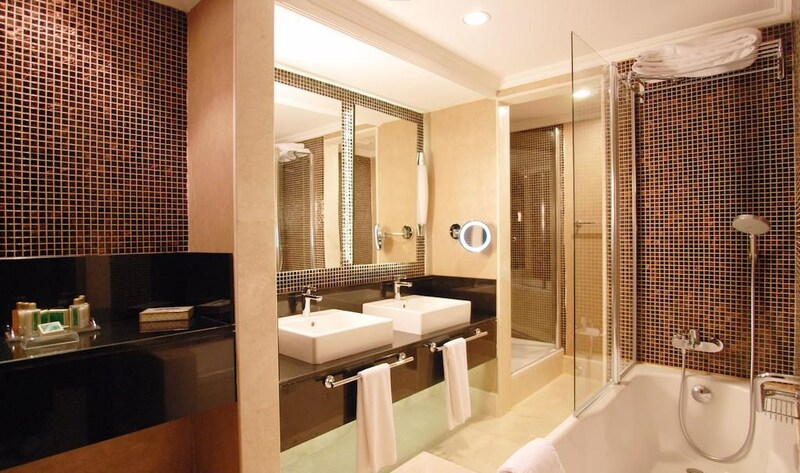 All rooms have a flat-screen TV, a minibar, and a work desk. Some rooms have a separate living room. 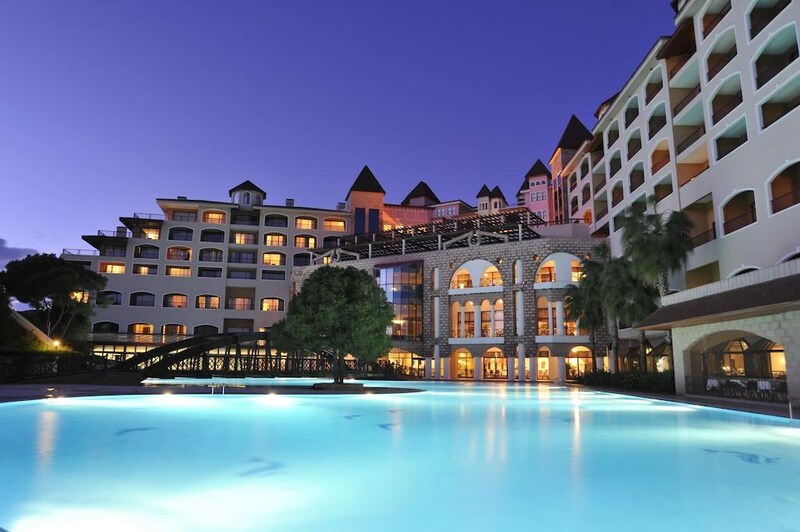 Guests can taste Mediterranean, South American, and Turkish dishes at Sirene Belek Hotel’s restaurants. 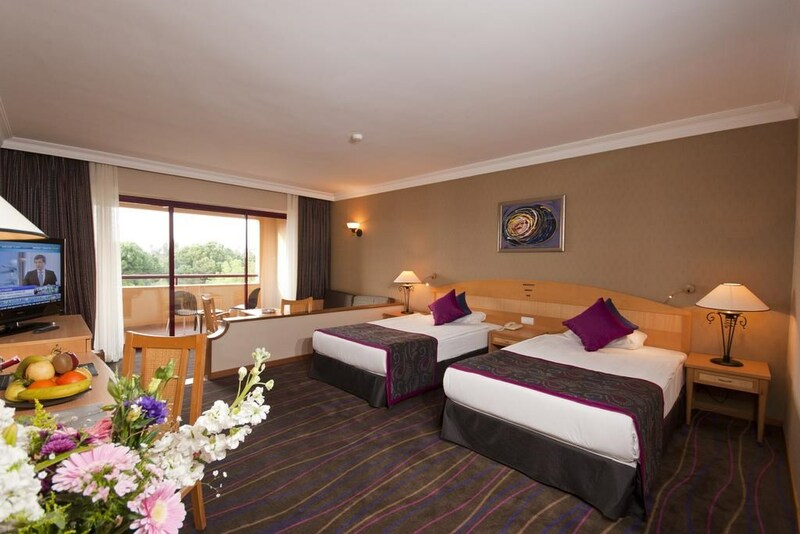 The hotel offers 4 à la carte restaurants, 2 open buffet restaurants, and 6 bars. Many water sports activities are available on site, including water skiing, jet skiing, banana riding, and surfing. 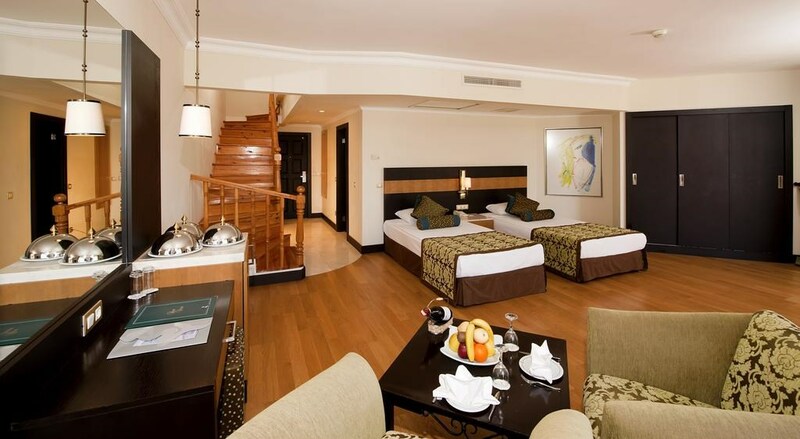 Children can have fun at the kids club with a children’s pool with two slides and open-air disco. 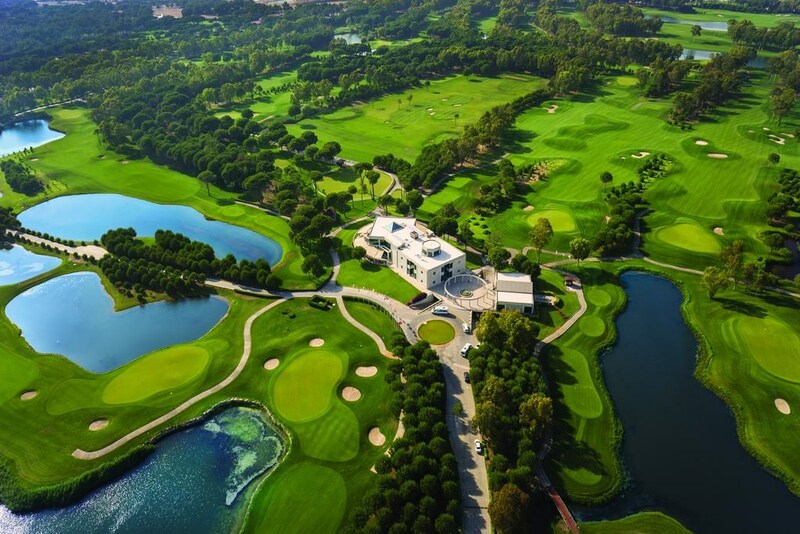 Guests can enjoy a relaxing massage at Sirene Belek’s spa, which also features a sauna, a Turkish bath, a fitness centre, and aerobics facilities. 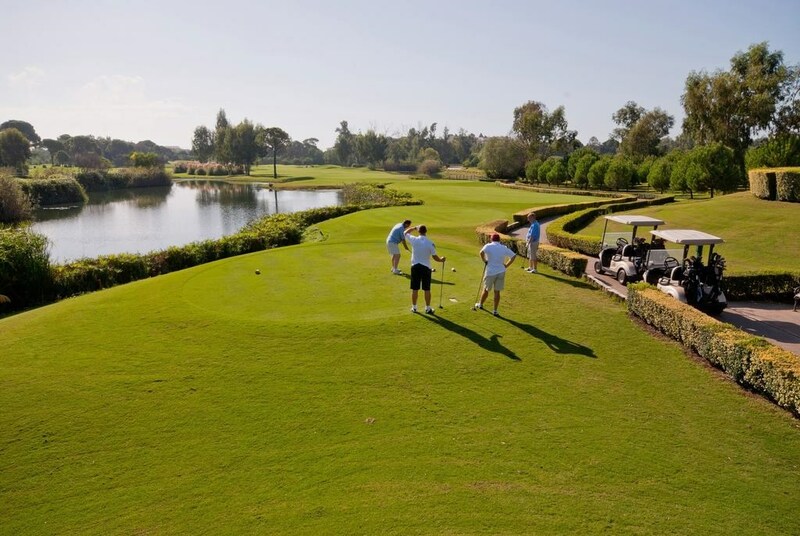 Sirene Belek Hotel provides a shuttle service to the Antalya Golf Club continuously. 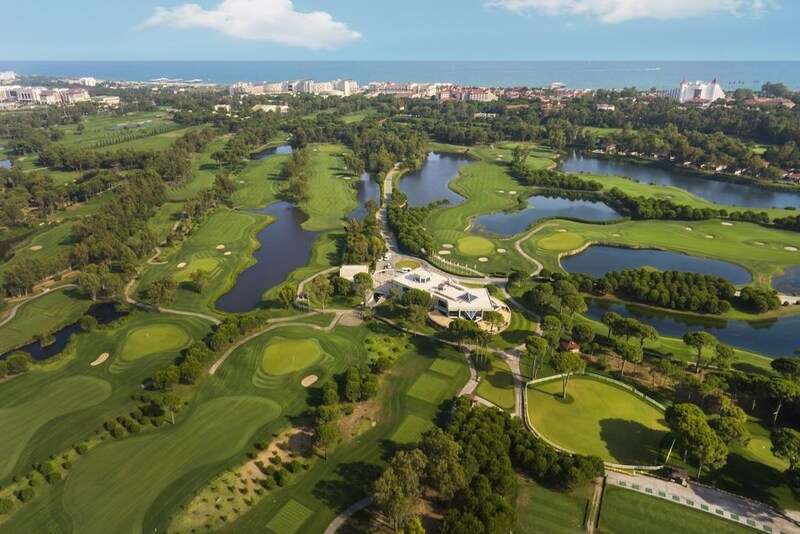 The sister establishment Antalya Golf Club, PGA Sultan and The Pasha are located on a 1350-acre area within walking distance of the Sirene Belek Hotel. 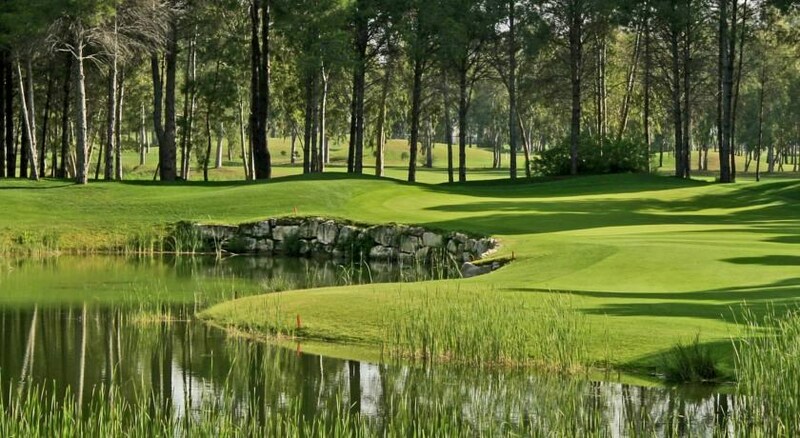 The PGA Sultan championship is 71 par, the length of the race is 6477 meters, the distance of Pasha is 72 par, and the length of the course is 5731 meters.